A very warm welcome to Map-of-Spain.co.uk. My personal collection of maps of Spain. 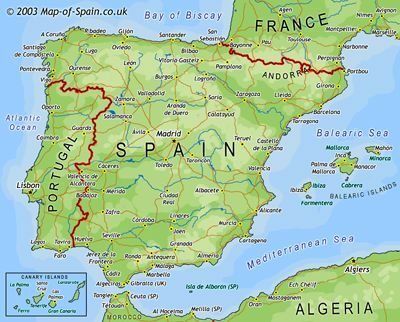 This website has links of maps of spain to buy and maps that I have made. I hope you find them useful. Hundreds and hundreds of great prices at hotels in Spain.